So you're in a band, huh? Oh, it's the one with the plastic instruments that you play on the TV? Okay, I guess I won't say anything to anyone. I understand. We all want to be rock stars. This might be you're only shot at that awesome level of cool that is being in a band. I don't want to ruin it for you, so go ahead, wear this shirt with pride. 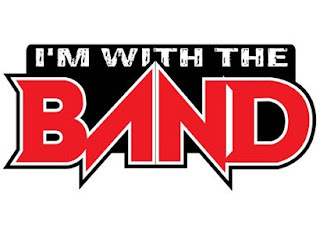 You're with the band.